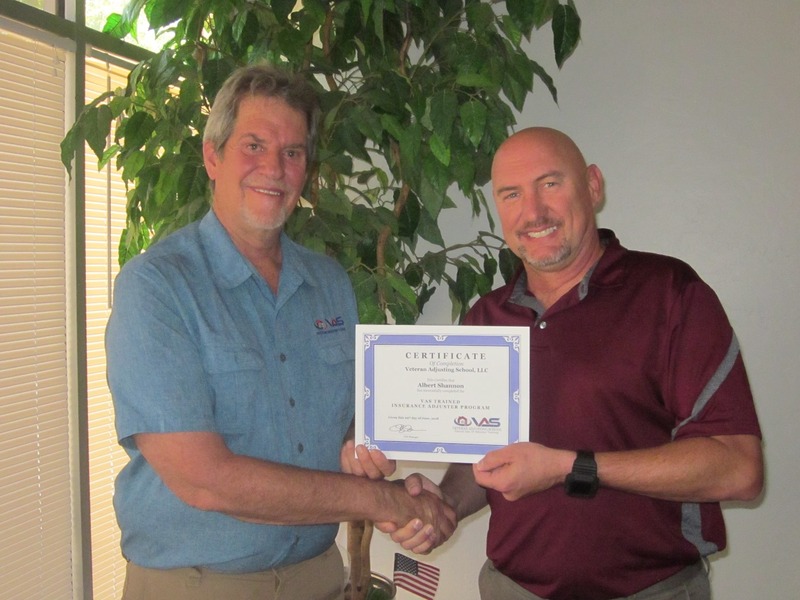 Veteran Adjusting School has top quality training which has allowed VAS to form partnerships with over 25 insurance agencies and independent firms that hire VAS graduates immediately upon graduation; VAS has a 98% job placement rate. VAS graduates have been expertly trained to be employed as independent catastrophe adjusters, day claim adjusters, or as agency staff adjusters. VAS focuses on CAT adjusting as it can provide a much more lucrative and rewarding career; despite it being slightly more difficult to be trained in CAT adjusting. Recent graduates could earn up to six figures in six months. VAS partners trust the comprehensive, six week, hands-on training program that VAS students receive. Insurance companies and IA firms deploy CAT adjusters to catastrophic events, (hail storm, wildfire, flood, hurricane, ect.) where they spend weeks to months at a storm site. 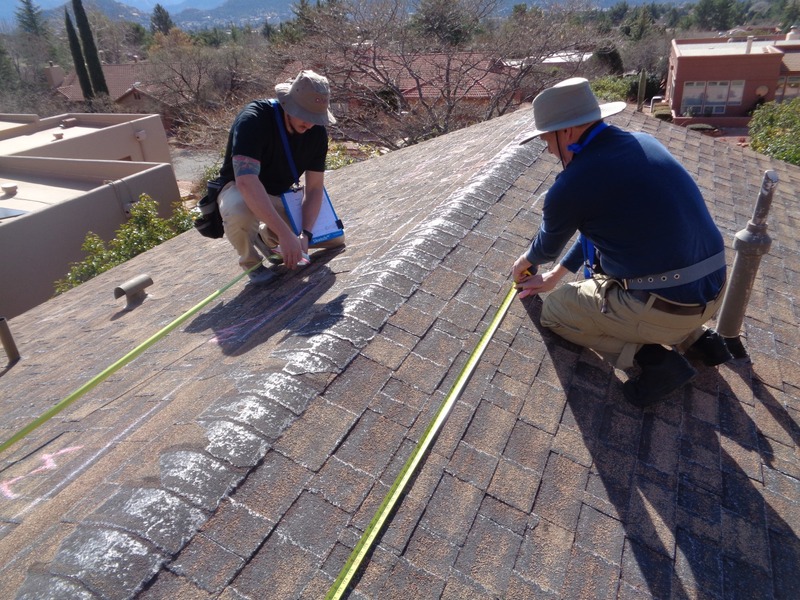 Adjusters complete home inspections in the affected region assessing how much compensation the insured customers are entitled to under their insurance policy. High Earning Potential – CAT adjusters are paid per claim closed. This allows for a very high earning potential. CAT adjusters typically average between $70k – $100k in 6 – 9 months during the storm season. Self Employment – As a CAT adjuster you are contracted by insurance agencies and are your own boss. Helping People In Need – After the catastrophic event hits, people are in desperate need. Getting their compensation helps them put their lives back together. 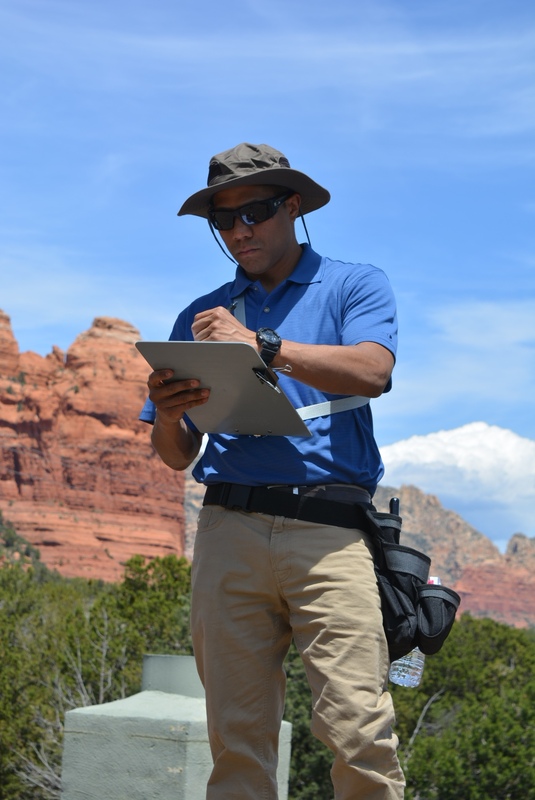 Vacation Time – CAT adjusters typically only work 6-9 months a year. This means that they can enjoy 3-6 months of vacation time. CAT adjusting is a highly rewarding career, but it isn’t for everyone. It takes hard work, organization, dedication, and self-motivation in order to be successful in the field. Do you have what it takes? Catastrophe adjusting can be a rewarding career, but it can be hard to get your foot in the door. With Veteran Adjusting School not only will you get all the education you need to be field ready; but VAS is also partnered with over 20 insurance agencies and independent firms to help graduates find jobs upon completion of their six week program. One reason for VAS’s success is due to the knowledgeable, experienced instructors and mentors they have to help their students, in school and into the field after graduation. The six-week curriculum uses experiential, interactive learning, and traditional teaching styles to give their students a full understanding of the industry.The extensive curriculum has students ready to run claims on day one after graduation. This also includes a “storm week” where the students perform inspections under the guidance of their instructors. Part of VAS’s success can also be attributed to the fact that they aren’t just looking for students, they are looking for dedicated, hard-working, organized, self-motivated people wanting to make a difference with a fulfilling career. Helping those in need – CAT adjusters help people get the compensation they need in order to put their lives back together. High earning potential – CAT adjusters average between $70k – $100k in 6 – 9 months. 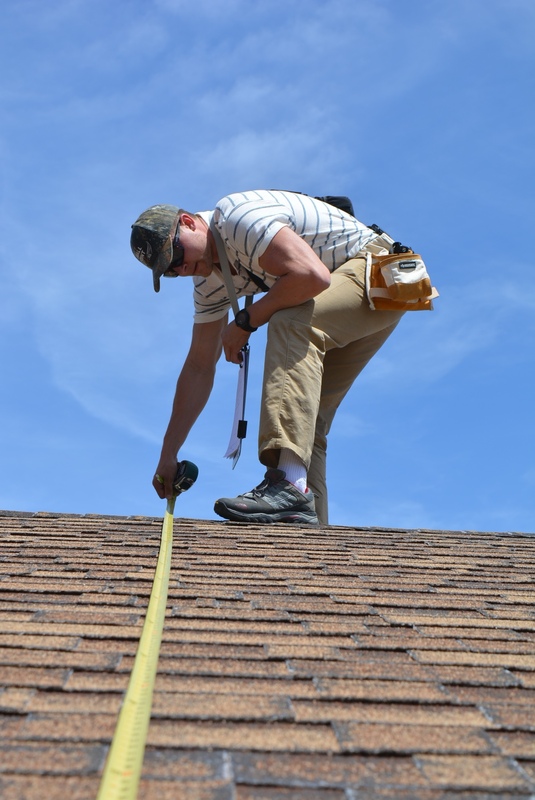 Self-employed – These adjusters are given the freedom to make their own hours, and be their own boss because they are contracted by insurance agencies and independent firms. Job security – The United States has more natural disasters than any other country, so the need for CAT adjusters is always high. VAS also provides a mentorship program. 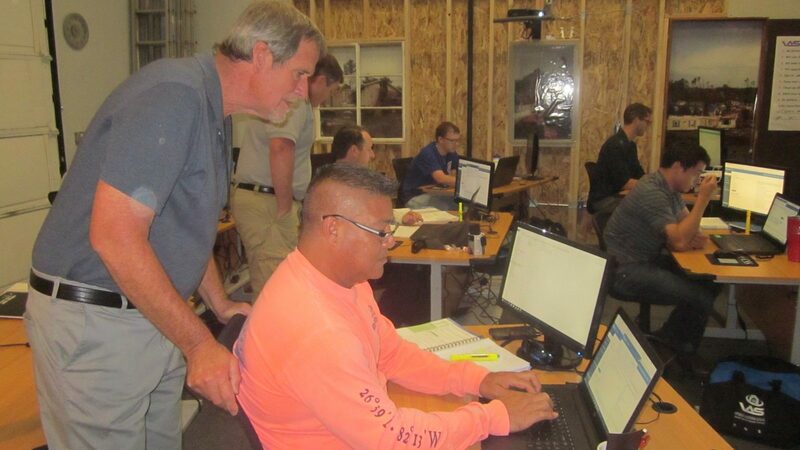 These experienced adjusters give students an insider’s perspective. Anytime a graduate runs into an unexpected problem, they can rely on the help of a mentor, even after graduation. Catastrophe adjusting is a fulfilling career, do you have what it takes? Seeking a New Career Path? Are you hard working, organized, self-motivated, and dedicated? Then Veteran Adjusting School might be right for you. A licensed vocational school with a 98% job placement rate for their students. VAS has over 30 insurance partners that hire their graduates right out of school. What is Veteran Adjusting School? 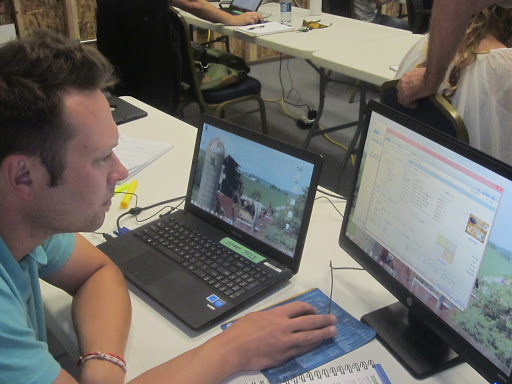 VAS is a six-week catastrophe adjusting school that focuses on making their students entirely field ready by the time they complete the program. But, the VAS mentorship doesn’t stop there, grads are able to rely on help from their mentors when deployed to ensure a top quality work product. 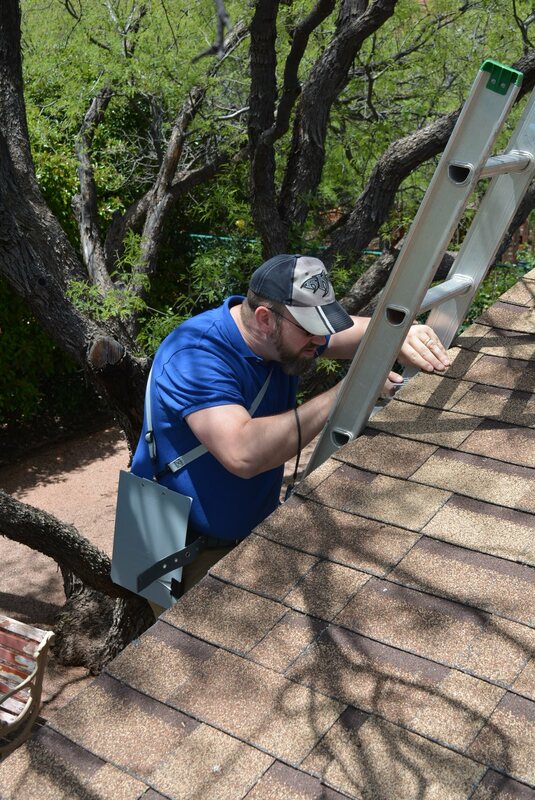 Self-employed – CAT adjusters are contracted by insurance agencies and independent firms. This gives them the freedom to make their own hours. Helping people – CAT adjusters are able to help people get the compensation they desperately need in order to put their lives back together. Job security – Catastrophe adjusting is recession proof. The United States has more natural disasters than any other country. The need for CAT adjusters is always high. What is a CAT Adjuster? A CAT adjuster is someone who inspects the damage, creates reports, and assesses how much compensation a policyholder is entitled to under their policy, particularly focusing on those who have experienced a catastrophic event. When these events take place, independent firms and insurance carriers will contract the work out to an independent CAT adjuster. CAT adjusting isn’t for everyone and class size is limited. Do you have what it takes?